Leveraging webinar platforms is a smart business strategy. Short for web-based seminar, a webinar is a lecture, workshop, or presentation conducted over the internet. Webinars are interactive. They allow participants to receive information and ask questions. It’s a great tool to know your audience or showcase your products and services. When used strategically for your business, running webinars can drive you more leads, build an audience, and make more sales. The best part? You can reap these benefits without spending hundreds of dollars. Conventional meetings and conferences are expensive to arrange. But with webinars, you can get started by only using your webcam and microphone. As long as you have an internet connection, your viewers can access your webinars anytime, anywhere. But of course, they should be packed with great content to shine. And like other marketing techniques, you need a concrete execution plan. You have to select the right webinar platforms, tools, and learn how to promote them to your target audience. So this week on Five Tips Tuesday, we gathered five vital tips to help you produce successful webinars. Learn how to host a webinar that converts. Check out the online tools you can use to create them. Get tips on promoting your webinars on social media. Discover how webinars can boost your demand generation game. And lastly, get the book that can help you grow your webinar enterprise. Hosting a webinar is a great tactic to grow your business. It can build brand awareness, grow your email list, and increase conversion rates. But how do you get started? 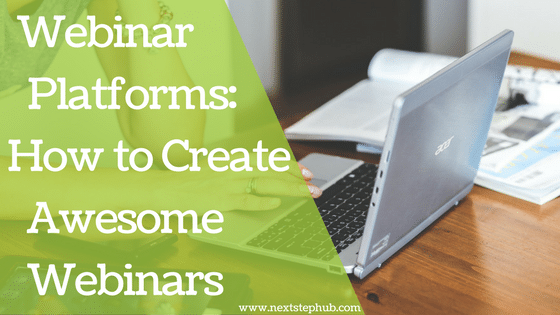 What are the necessary steps to create compelling webinars that sell? Check out this comprehensive guide to hosting a successful webinar. Aside from your webcam and microphone, there are plenty of tools that can help you create a killer webinar. And since every business has different requisites, you need to choose the right tool for you. Here’s a list of the best webinar tools you can use. There’s no point of conducting webinars if your audience won’t see it. Social media is an interactive and engaging platform, so it’s important to include them in your webinar marketing plan. Here are some tips for promoting webinars using social media. Generating leads and converting them into customers can be challenging. Sure, there are many strategies you can try such as newsletters and social media ads. But most of them can only give a few leads. If you have this kind of problem, webinar might be the solution you’re looking for. Find out how they can boost your demand generation game. Do you want to promote, run and grow your webinar enterprise? Sherrie Rose has you covered. In her book ‘The Webinar Way‘, Sherrie shared detailed guides on creating an engaging webinar. Here she also evaluated webinar platforms, gave tips on increasing registration, actual attendance, and conversion rates. How do you use webinar platforms to showcase your products and services? Tell us in the comments. Build your brand’s voice, reach out to your market, and create a strong online presence through online marketing! NextStep will help you extend your brand’s reach to China through WeChat and Weibo Marketing. Go local with content in Chinese, English, and French. Contact us today and get to know more about our services! Rose Tornandeso is a freelance writer from Manila, Philippines. She spends her time as the Editor and Content Creator for NextStep Hub. When she's not chasing deadlines, she visits art galleries, writes fictions, and plays legos with her son.